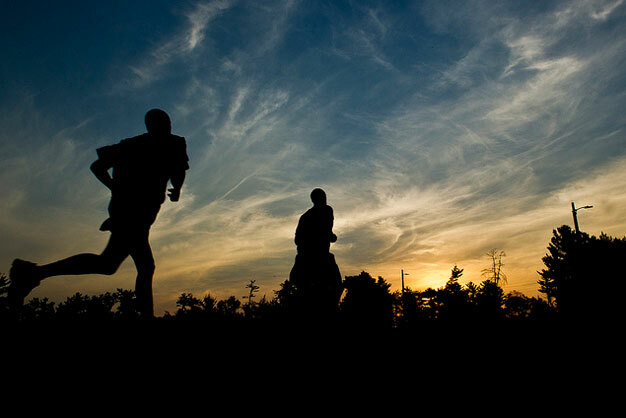 Troops competiting in the 2012 US Army Reserve Best Warrior Competition compete in the 2-mile run event during the Army Physical Fitness Test at Fort McCoy, Wis. The APFT is the first event of a grueling weeklong competition that will determine which two Soldiers will represent the USAR at next level of competition. US. Army photo by Sgt. 1st Class Mark Burrell.